The best way to find out about Sherkin Island (Inis Arcain in Irish) is to come here and explore for yourself! The island, is approximately 3 miles long with a population of about 100, and lies off the southwest coast of Ireland. 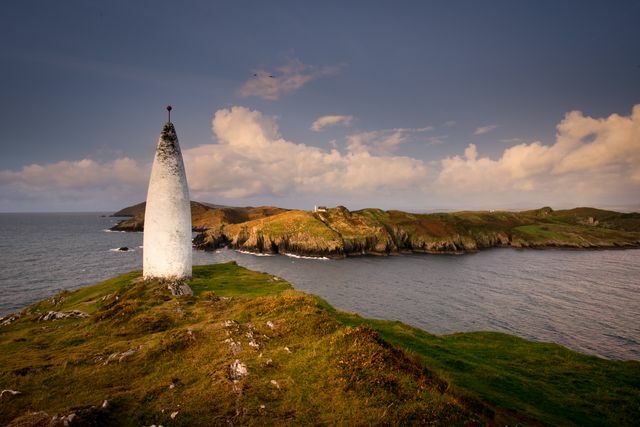 Sherkin Island, the ancestral home of the O’Driscoll clan, is the most accessible island in Ireland – only ten minutes by ferry from the small fishing port of Baltimore, Co.Cork. The island boasts a wonderful array of landscapes, Atlantic views from the hilltops, fuchsia-scented lanes and the finest sandy beaches. 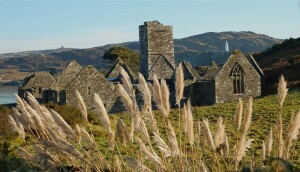 Sherkin Island’s Franciscan Abbey, located near the pier, was built in 1460 by Fineen O’Driscoll and is a fine example of medieval monastic architecture. Today, the island’s beauty inspires the artists who have chosen Sherkin as their home. You can call in to artist studios in the island, visit exhibitions throughout the summer in our island community centre, and even study art on the island which is home to a visual arts degree programme, BAVA, run by Dublin Institute of Technology in partnership with Sherkin Island Development Society. 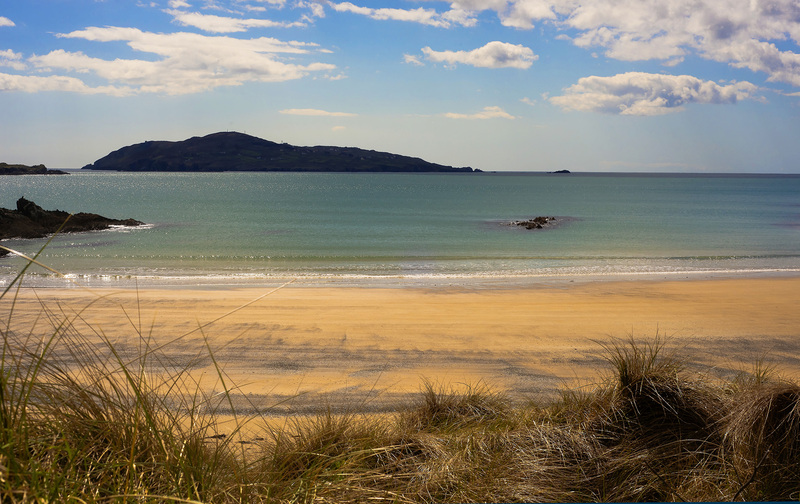 Sherkin Island’s Silver Strand is one of the hidden gems of West Cork: from this beautiful sandy beach, you can see out across the Atlantic to Cape Clear island. Wild flowers abound on Sherkin, a place which is second only to the Burren in its botanical richness. Many birds breed on the island and rare migrating birds pass through in spring and autumn while butterflies and dragonflies adorn the lanes. You will find good fishing on the rocky headlands and, close inshore, seals, otters and schools of dolphin and porpoise can be observed. The island is also well known for its magical sunsets and as a base for whale watching. To help you travel around the island there is a Rural Transport bus. In the summer months, bicycles can be hired on Sherkin Island. The Jolly Roger is a wonderful traditional Irish pub with a great programme of music events, and you’ll find events on offer throughout the year at Sherkin North Shore too. The Islanders’ Rest, just a short walk from the harbour, serves food, has rooms to let, and offers great views back towards the mainland. We hope to see you soon. Contact us if you’d like any help in planning your trip to Sherkin!